Do you remember getting your cheeks pinched as a child? You probably hated it. As a youngster, getting your cheeks pinched was a sign that you were still a little kid. It was likely that you still had to go to bed early and sit at the children’s table during big family get-togethers. Those were the days of longing to be an adult, weren’t they? Ironically, many adults long to go back to those days, as memories of our youth bring up feelings of joy. And it’s not so much that we liked going to bed early. But as we age, we yearn for the days when are cheeks were actually pinchable. Now, it’s not likely that many of us actually want our cheeks pinched again, but it would be nice if their volume returned. The loss of volume in our cheeks is one of the key markers of aging. As we get older our faces begin to lose some definition, balance and shape. Unfortunately, these harsh realities work to give us appearances that may sometimes be older than our ages. In fact, no one is really immune to the 3 Ds: deflation, descent and deterioration. Deflation refers to the loss of fullness and volume in our faces. Descent is when our skin begins to droop and sag. Deterioration refers to the fine lines, wrinkles and texture changes that occur in our skin. In the past, cosmetic surgery was thought to be the only reasonable solution to these signs of aging. Of course, surgeries such as face lifts are both expensive and of a high-risk nature. Luckily for us, today there is a much safer and less expensive solution. Kelowna Juvederm Voluma addresses the dreaded 3 D’s by injecting a natural solution into the problem areas that make us look older. They use a solution made up of hyaluronic acid or HA, which is a naturally-occurring sugar in body. Once injected, the filler works to restore facial volume and smoothen out wrinkles and fine lines. Because Juvederm Voluma also utilizes a combination of collagen and elastin, the skin’s structure and elasticity dramatically improves. Unlike the standard face lift, an injection helps to provide patients with a very natural, younger look. 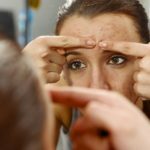 Gone are the days where a stretched-out, plastic-like look was the solution to wrinkles and saggy skin. Juvederm Voluma has been known to provide instant results that can last up to a full year and a half! What’s amazing is that – also unlike plastic surgeries – there is no downtime for patients following a treatment. After injections, patients are able to easily return to their normal everyday activities. It’s time to battle the 3 D’s with the 3 R’s: restoration of volume loss, rejuvenation of sunken areas around the cheeks and the return of a natural, youthful cheek-pinch-inducing appearance! 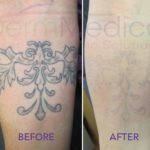 For more information on Juvéderm Voluma , contact DermMedica toll free at 1-866-861-3070, or if you are in Kelowna, call 250-868-3070.